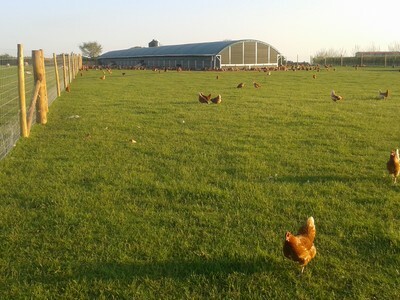 We offer fresh free range eggs, with a naturally good taste and bright wholesome yolk. Fresh from the farm direct to our customers. Most of our eggs are no more than a day old! Our Chickens enjoying their upgraded home with even more space. Due to demand for my eggs in 2015 I had to have a new shed to house a larger flock. This time I have gone for a polytunnel which was provided by MCGREGOR POLYTUNNELS and which was then fitted out by POTTERS POULTRY. Although it is a lot bigger than my old sheds it is a lot easier to look after the hens as it is all automatic feeding and collecting of the eggs. It is 4* luxury for the hens! 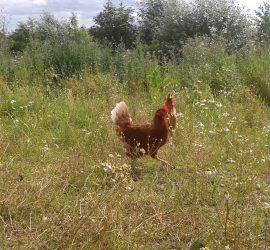 Another addition is the Honesty Box which is at the entrance to the hen field so when customers stop off for eggs they can see the hens out and about in the field. 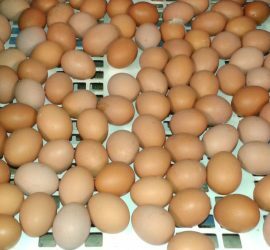 The eggs are very popular with all his customers who say they taste like real eggs with golden yolks. Starting with his first customer Sherwoods Wholefoods in Market Drayton sales now stretch to farm shops, catering establishments, garden centres with a customer list of 31 and growing.